Chameleon is based on the same revolutionary rule engine as MetaMod. 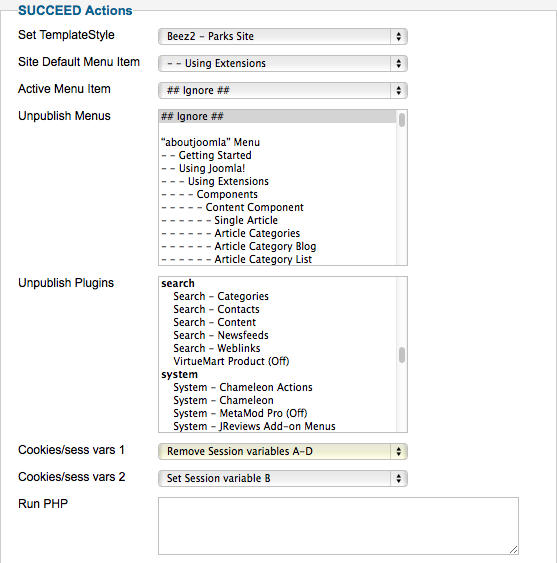 If a rule succeeds, you can redirect to a certain page or URL, set cookies, disable certain menu items or plugins, change the site home page ("Default" menu item), change which menu item will be displayed as “Active”, add page titles/keywords/meta-descriptions, find and replace page text, set the page language, and/or execute arbitrary PHP code. Also available: ChameleonLite (free, download here, Joomla 1.5 only) gives you the flexibility of Chameleon, except that you have to code the rules in PHP (see FAQ). You still get the management interface and succeed/fail actions, but none of the drop-downs and select boxes for built-in rules, mentioned above. Is Chameleon available for Joomla 2.5 and 3? Yes. From version 2.23, released 08 March 2012, Chameleon 2.23 supports both Joomla 1.7 and Joomla 2.5. 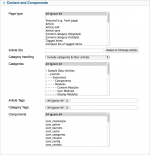 From version 2.30, released 25 February 2013, Chameleon supports both Joomla 2.5 and Joomla 3.0. The Joomla 1.7 support has been dropped from that release. 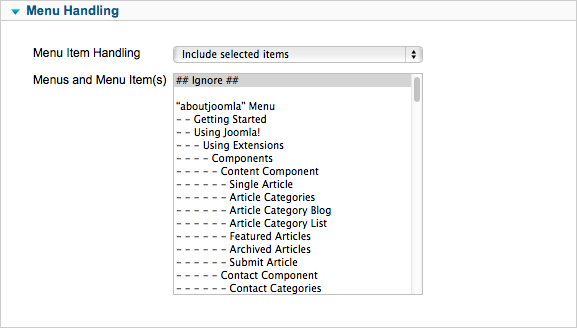 From version 2.33, released 6 August 2013, Chameleon supports Joomla 2.5-3.1. From version 2.42, released 4 August 2014, Chameleon supports Joomla 2.5-3.3. From version 2.46, released 19 March 2015, Chameleon supports Joomla 3.4. From version 2.55, released 4 May 2016, Chameleon supports Joomla 3.5. From version 2.64, released 2 January 2017, Chameleon supports Joomla 3.7. From version 2.65, released 1 November 2017, Chameleon supports Joomla 3.8. Note: the Joomla 1.5 version, and the Joomla 2.5-3.x versions of Chameleon are separate products and must be purchased separately. This is because of the huge amount of work that it took to port Chameleon from Joomla 1.5 to 1.7, which resulted in a near rewrite of Chameleon. 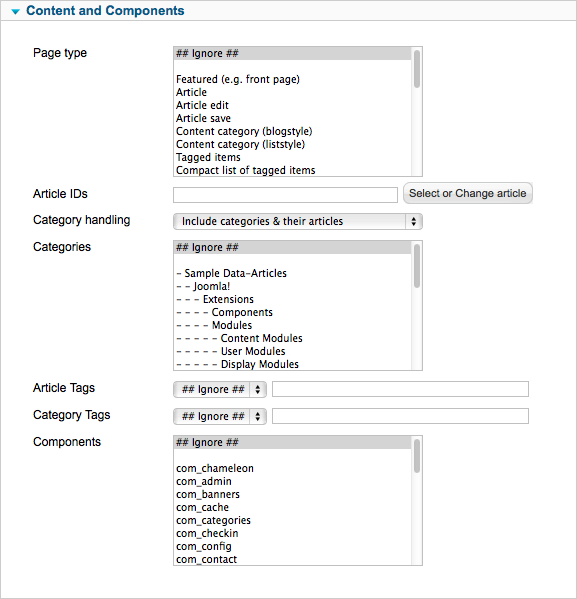 But we can already assign templates to different pages in Joomla. Why Chameleon? Joomla allows you to set a default template for your site, then assign alternative templates to different menu items. That’s all. There’s no facility for assigning different templates to different groups of users (e.g. Registered/Author/Editor etc, or “non-logged-in” users). There’s no facility for assigning a template to particular articles, sections or categories, web domains, or browser types. There are good reasons to want to do all of these things. Joomla’s addiction to “Menu Items” makes it very difficult to achieve fine control over what template gets displayed when. Chameleon changes all that. What’s the difference between Chameleon and ChameleonLite? Which one do I need? If you are using Joomla 2.5-3.x, there is no Lite version — only the full version is available. Chameleon and ChameleonLite are built around the same rule engine. ChameleonLite has fewer form controls than Chameleon (e.g. it doesn’t have a form control for users or user groups) — the rest you have to code yourself in PHP. There’s a lot of help built in to the interface, and many MetaMod Recipes can be used for ChameleonLite with minimal modification. Chameleon has some very useful rules built-in and is highly recommended. It’s much easier to configure (unless you’re a PHP genius of course, in which case grab the Lite version and enjoy!). “Whenever I am viewing an article in the News section, I want to use the specialist News template. I don’t care about which menu item we’re on”. “Whenever someone views the site with Internet Explorer, they should see our specialist IE template. Mobile devices should use the Mobile template. All others should see the General template”. The challenge is to make a way to put these rules together using form elements. Chameleon (and the Lite version) allow you to create individual rules. Within each rule you can specify values for things like language, users, groups, browser types etc. In order for the rule to “Succeed”, every condition you specify within that rule has to succeed. If any of the conditions fail, then the end result of the rule is a “Fail”. At the end of the rule (the Action), you specify what you want to happen for a Success or Failure. You can get the rule to immediately set a given template, or get it to fall through to the next rule. 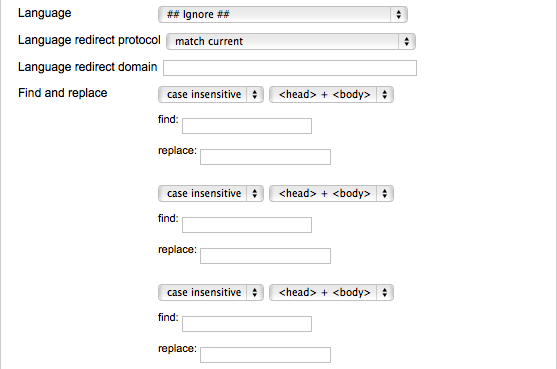 You can also get the rules to redirect to a certain page, set cookies, and/or execute some PHP code. 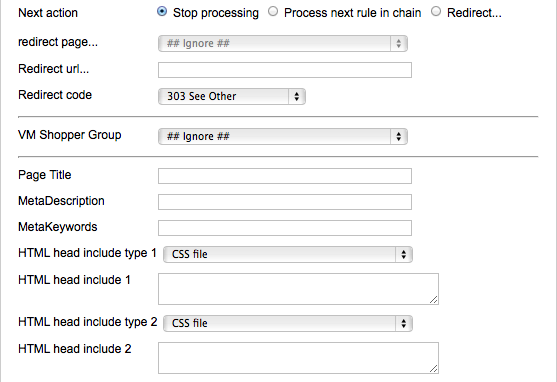 Using this system, you can create chains of rules that AND and OR together. If you can’t create the exact rule that you want, you have the opportunity to code it in PHP, which is an even more expressive language. How do I “OR” two rules together? In the first rule, set the Action for Success to return the desired template. Set the Action for Failure to not change the template, and “Process next rule”. In the second rule, do the same thing. In this way, if the first rule does not succeed, the second one will be tried. If that does not succeed, then you can set an alternative Action, or just fall through and don’t change the template. How do I “AND” two rules together? In the first rule, set the Action for Success to set the desired template, but “Process next rule”. Set the Action for Failure return an alternative template or to “Stop Processing”. In this way, the template will only be set if both the first and second rules Succeed. Does Chameleon have any facility to let users select their own template? Yes. 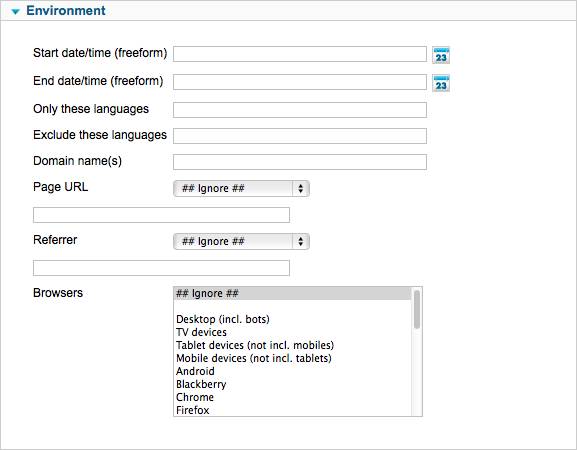 There's a "User" plugin included with Chameleon for Joomla 2.5-3.x called "User - Template". 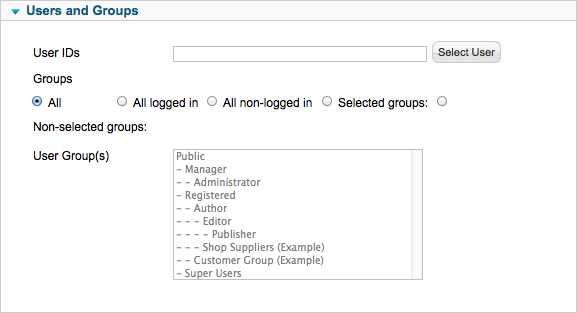 This adds a selector to the User Profile for a logged-in user. 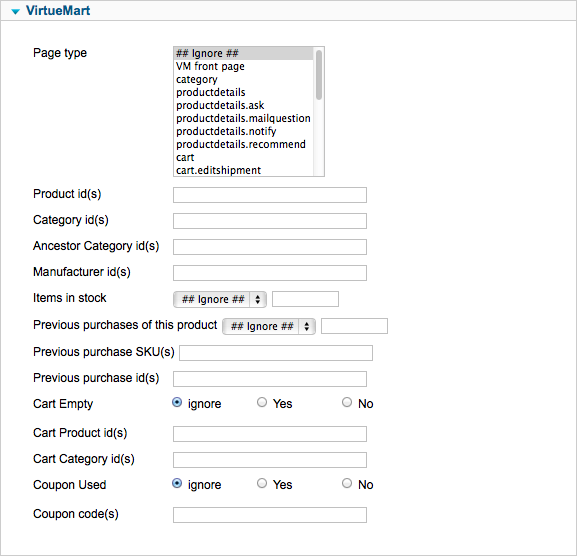 The admin can choose which of the installed templates will be displayed in the list for the user to choose. To use this, just publish the plugin then also enable it in the Chameleon "Options" panel. Also, Chameleon and ChameleonLite both have the ability to pick up the GET, POST, COOKIE or session variables set by most of the common front-end template switchers, and can take these into account in the rules. The option is named “Honour template set in session/cookies/GET/POST”. When this is set, if Chameleon detects one of these cookies then it sets the requested template as the default template, then continues processing the rules. The rules can override this template, or, by not setting their own template, the default will be passed through to Joomla and activated. This feature allows you to create your own front-end system that sets the desired template in a GET, POST or COOKIE variable. How do I get Chameleon to “remember” a template for the entire session? (available from v1.3). This is a common thing to want to do. e.g. you are checking the HTTP referrer, and you want to switch to a particular template if the browser is coming from your FaceBook page. Naturally, the referrer string is only http://www.facebook.com/some_page for the first page visited on your site – so you want Chameleon to remember the new template for the rest of the session. Set up your first rule to detect the referrer, and return true if it finds the facebook URL. Enter the referrer URL (e.g. http://www.facebook.com/some_page) into the “Referrer” box, and set the drop-down to “equals” or “starts with” as appropriate. In the Actions box, set the SUCCEED action to change the template to the one you want, then in the drop-down immediately below it, select “Set Session variable A”. This just sets a flag to pick up in your next rule. In the Actions box, set the FAIL action to leave the template as it is, but click the radio button for “process next rule”. In this way, if the referrer is not Facebook, then Chameleon will go on to the next rule. In this second rule, in the “Cookie/Session variable set?” drop-down, select “Session variable A”. 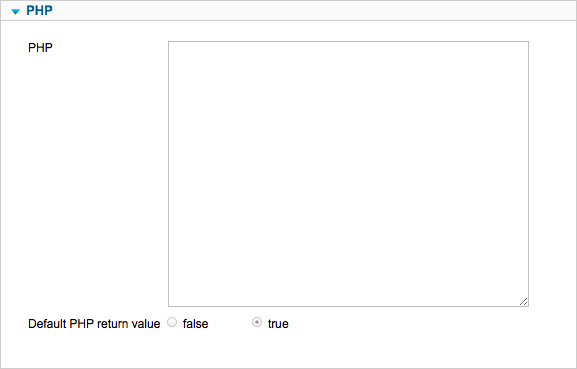 In this way, if Chameleon detects that session variable A has already been set (i.e. the referrer was Facebook earlier in the session), then it will set this rule to SUCCEED, else it will set it to FAIL. 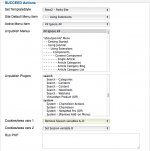 In this second rule, set the SUCCEED action to change the template to your target template. If you use Permanent Cookie A-D instead of Session Variable A-D, then the template selection will be remembered on the visitor's web browser for up to 10 years, or less if they clear the cookies earlier. Remember to set this on both rules (setting it on the first one, and picking it up on the second). The official manual is now available and contains full descriptions of all the forms and pages that are part of Chameleon and ChameleonLite. MetaTemplate Pro and MetaTemplate were renamed to Chameleon and ChameleonLite in August 2011, to coincide with the release of the Joomla 1.7-compatible version. The change was made because the product is capable of doing far more than just changing templates. It’s also capable of changing menu items on a page-by-page basis, changing which page is the home page, doing sophisticated redirections, and much more. These other capabilities were being hidden because the name suggested that it was only about templates.